At Phoenix Fresh Start Bankruptcy, our attorneys favorite strategy for stopping debt collection harassment is, no surprise, the filing of a petition for relief under the bankruptcy code. It’s our favorite tool for stopping harassment for good reason: Once a bankruptcy is filed, collectors cannot legally contact you anymore. Law suits die, foreclosures end, garnishments cease, collection calls and letters disappear. Why? 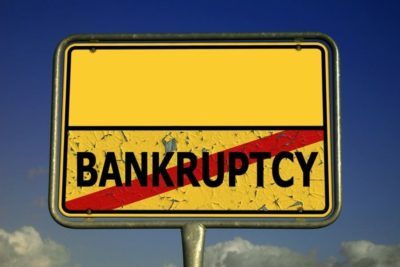 Because one the automatic stay is imposed upon the filing of a bankruptcy, collections efforts become punishable under law. But what about strategies short of bankruptcy filing? Perhaps the simplest strategy for ending collection harassment is to write the collector a “stop contact” letter. Once the collector receives it, the collector can only acknowledge the letter and notify you about legal steps the collector may take. The letter should identify the collector, the debt and, if possible a description of any past contact. The main thing is you need to direct the collector to cease all communications with you and anyone at you address about the alleged debt.Keep a copy of the letter and send the original by mail, return receipt requested. If a debt collector continues to contact you, send another letter and once again keep a copy. Let them know that you are aware that they are violating the federal law by continuing to contact you. Keep a careful record of any letters and phone calls you receive after sending the letter, which will be helpful if you sue the debt collector. Another strategy is to make yourself a less attractive collections target. If your only sources of income are government benefits, your income may be “exempt” or protected from collection. If you inform the collector that government benefits are your only source of income, the collector may voluntarily stop contacting you about the alleged debt. Though you can do this by phone, it is useful to let the collector know by letter that you are living on assistance. You can let collectors know about your income’s exempt status over the phone and you can also send a letter describing the amount of your income and why it is exempt from garnishment. In this same letter, You may also want to demand that the debt collector stop contacting you. Sometimes you need a strategy for stopping some of the more bothersome contacts but not others. For example, you may find the written communications helpful for tracking on the account, but really hate the phone calls. If so, you can tell the collector to stop calling you at a specific number. You can tell them not to call you at a specific number, or to not call you during or during certain time periods. If you don’t believe that you owe a debt, a good strategy for dealing with a collector is sending a dispute letter to the collector, this letter provides an added benefit in that contact must cease until the collector sends you more information verifying the debt. As always you may want to ask that the collector stop contacting you altogether in the same letter. Make sure that you let the Consumer Financial Protection Bureau know about any collector harassment by filling out a complaintat www.consumerfinance.gov/complaint. The agency will forward your complaint to the debt collector and work to get you a response, usually within fifteen days. You can also complain to the consumer protection division of your state attorney general’s office. Some states offer mediation services for consumer disputes. Investigate your rights regarding collector harassment under the Fair Debt Collection Practices Act (FDCPA). The FDCPA only applies to debt collectors (including collection attorneys), but state law may have similar requirements for the creditor’s own collection efforts. The Act places substantial limits on collectors. Among other things, it requires collectors stop contacting you if you make a request in writing. It bars collectors from communicating about a debt without your permission with your friends, relatives and employers. Collectors may contact attorneys, credit bureaus, cosigners, and your spouse. They can contact others only to locate you and cannot reveal that a debt is involved. It bans collectors from communicating with you at unusual or inconvenient times or places. Calling you at work if the collector knows that your employer doesn’t allow personal calls. More than anything the FDCPA bans harassment itself. Collectors can’t phone you repeatedly with intent to annoy, abuse, or harass and they can’t use obscenities, racial slurs, insulting remarks, or physical threats. If you do book an appointment at Phoenix Fresh Start Bankruptcy to discuss collector harassment prepare for that appointment by thinking about how the collector’s actions affected you and your family. Get over any hesitance to discuss your feelings about the harassment, since the details will help determine damages and liability. All symptoms distress should be reviewed, including: anxiety, embarrassment, headaches, nausea, indignation, irritability, and any costs to your relationships with your friends and family. Review any financial losses with your attorney, from loss of employment to loss of wages because of time taken off from work to try to resolve the dispute. In addition, telephone charges, transportation, medical bills, and counseling services could all be part of your actual damages. Keep a record of all expenses related to the collection effort. We look forward to helping you put an end to collector harassment.